Material: SMS (Spun/Melt Blown/Spun) 50gsm. ,Tie/Velcro At The Neck And waist, Knitted Cuffs. 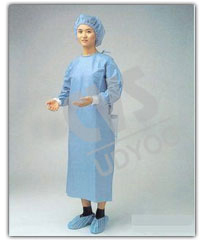 Application: Protection For the Doctor and visitor, Staff, in The Medical Surrounding, Hygienic And Industrial Sectors. Size Available: L-120 *140Cm,Xl-125*145cm. Packing Available: 1pc/Poly Bag, 100pcs/Ctn. Packing Available: 1pc/Poly Bag, 100pcs/Ctn. 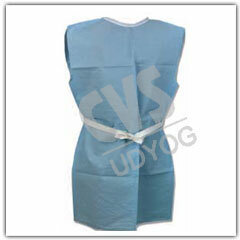 Application: Use For The Visitors To Visit Insidework Area Or Icu Room To Maintain Hygienic Environment. Application: Use In Labortories To Protect From Chemical And Dust. 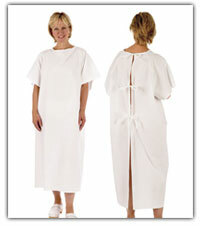 We have been manufacturing high quality patient gowns, which are made for style, comfort, dignity and most importantly the cost as they are available at most reasonable prices.y are available at most reasonable prices.